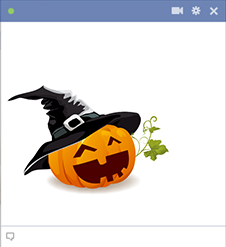 Create ghoulishly eye-catching Facebook posts when you share our amazing collection of Halloween emoticons. 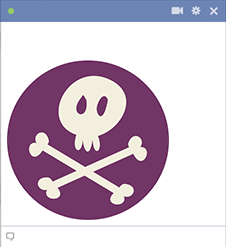 All of our smileys and emoticons can be posted anywhere on Facebook. Use them when you write a new status update, send a message, or leave a comment. We've created this gallery of custom images to help you celebrate the season of ghosts and ghouls. You can decorate all of your posts with our imagery to make them stand out in your friends' news feed. If you've never shared our cool smileys and emoticons before, you should know how easy it is to do. 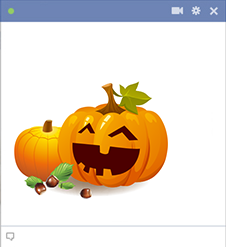 You simply choose an image and click the "send" button, then copy and paste the emoticon to a desired location on Facebook. It only takes a couple seconds and it's free. You can share our colorful images to pep up your posts every day. 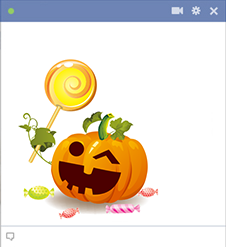 You'll never share another dull post when you spice up your communications with our colorful emoticons. In this gallery, you'll find witches, zombies, and monstrous faces. 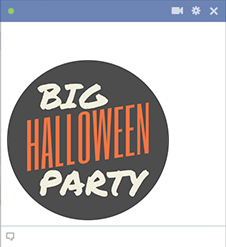 Our Halloween icons were loads of fun to create, and we can't wait for you to share them with your Facebook network. Scroll through our collection to discover your favorite Halloween images.